So here, are my simple yet delicious two recipe’s that appeal to kids eyes and help those taste buds to develop. These 2 recipe's can be combined to be served as a healthy breakfast. This is usually our Sunday Breakfast! This name is given by my son and it’s his fav parantha because of the color, ofcourse and also it has power to defeat even Superman. Clean Spinach leaves, wash them properly removing all impurities and blanch it with onion, garlic, ginger, tomato all cut in small pieces. Once Blanched grind it to make a paste without adding any water. Make a smooth paste/ pureee. Combine with wheat flour, salt, spinach puree in a deep bowl, and knead it. Add the puree in small amounts so that the dough is not runny. Grease the dough surface with a teaspoon of oil and let it rest for 10-15min’s at room temp. The dough is ready now with the help of rolling pin and board roll out a parantha (thick flat bread). Place it on heated tawa and cook it as you cook a plain parantha. Cook each side with ½ teaspoon of oil until golden brown on both sides. 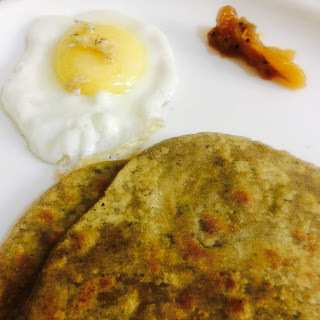 Serve it with Butter on top , with Egg, Dahi or Achar/ Mango Laungi however your kid would like it. Like us, kids also first eat with their eyes! This one recipe is his favorite as he likes to eat clouds…yes! That’s what I said clouds! Crack each egg and separate the whites from the yolks. Put the egg whites together in the mixing bowl. Place each yolk separately and put them in the fridge. Keeping the yolks separate will make it easier to place them individually on the egg clouds. Add salt as per your taste in the egg whites and Take an electric mixer or a whisk and beat the egg whites for about 5 minutes (if you're using an electric mixer). The egg whites should become stiff. Add finely crushed dried mint or even shredded cheese and hold a rubber spatula and use a twisting motion with your wrist to gently incorporate the seasonings into the egg whites. Scoop the flavored egg whites onto the preheated non-stick pan that is bit oiled. Avoid spreading the egg whites into large circles or they won't get very much lift as they cook. Take the back of a soup spoon and gently press down on the center of each egg white mound. These indentations will be where you add the egg yolk. Now cover the pan for about 3-5 min you will see the egg whites getting sturdy and bit brown basically they would look set. 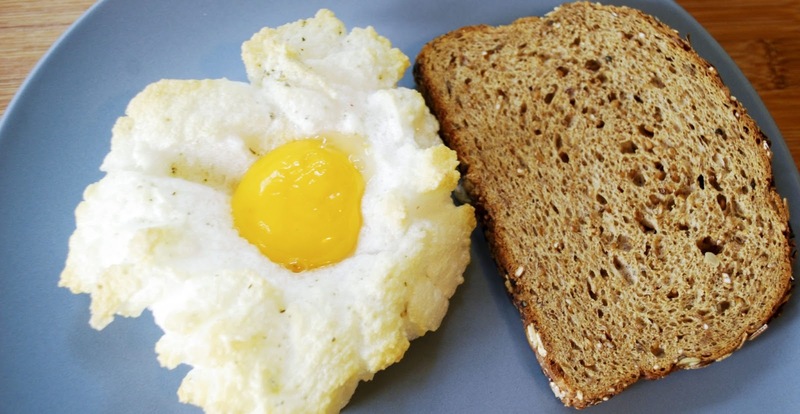 Place an egg yolk on the set egg white and let it cook for a while. Season the cloud egg with pepper and bit of salt. And, the cloud egg is ready! Serve it with a toast. Kids will love it ! or with the Parantha it tastes yumm! 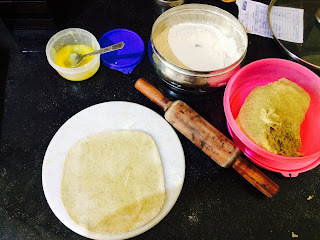 If You like these recipe's do comment will post more of such recipe's soon! Deepali from mytennytot,Anisha from momzdiary and Danisha from lovethatyoucanbuy. We 40 momblogggers are here with some amazing baby and toddler food ideas just for you. This is a month-long blog train. Stay tuned for more yummy and delicious recipes. 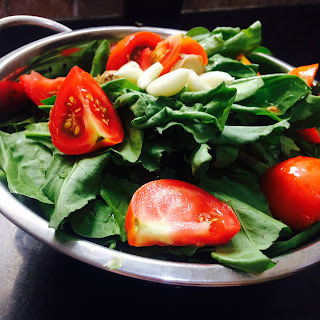 Lastly, I would like to Thank Pragnya from the https://lifewithmypenguin.wordpress.com for inviting me to the summer food blog train and now I further like to introduce Payal, who is a Nutritionist, Blogger, Content Writer and a Mommy of 1 year old darling daughter. She loves to explore food and also cooking.Check out http://evolvinglittlesteps.wordpress.com/ for the next yummy recipe. Wow.... This looks awesome and I so wanna try this now. Thanks for sharing. Love the ideas!!! healthy, nutritious and fun!!! will surely try it. Loved the recipes and those names ❤❤❤❤. I'm going to try these out soon.